As a historic Grade II* listed building located in the heart of Islington, Gracepoint was built by the famous architect George Coles. The venue has a magnificent Art Deco style façade, infused with an Egyptian theme, dressed in multi coloured Hathernware tiles. Previously the Carlton Cinema, this London venue has recently been refurbished and the original décor being restored. 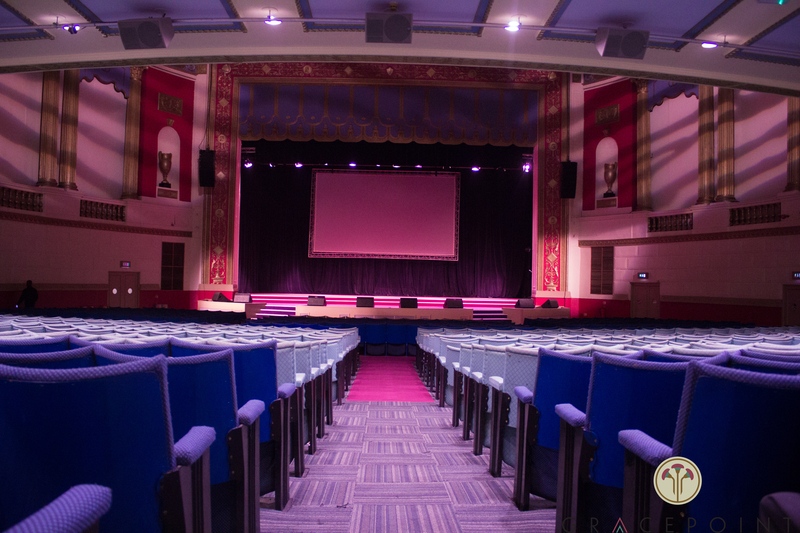 Gracepoint offers auditorium style seating with a capacity of over 1100 and is an ideal venue to host conferences, presentations, product launches, screenings, filming and performance led activities. .Following the grant of temporary planning permission and listed building consent for this iconic and community asset, we are pleased that the first phase of renovation and restoration of the building is now complete. .Gracepoint is available for hire by the local community and also for corporate events. 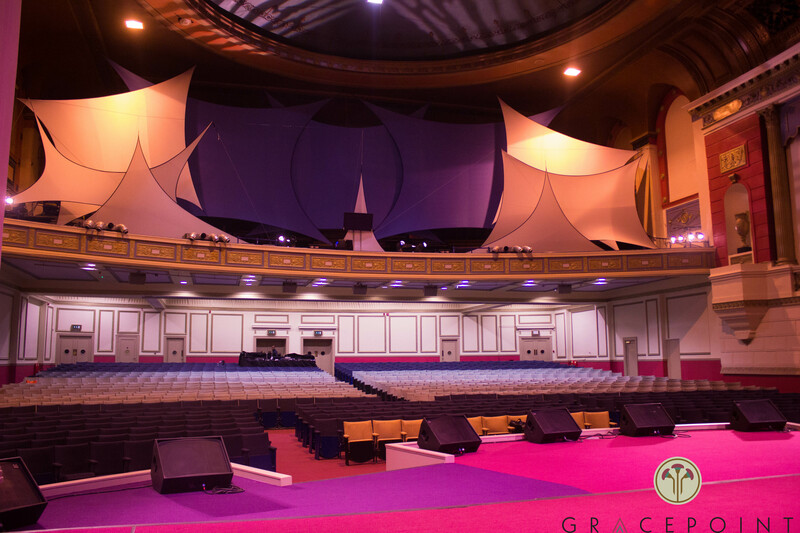 With over 16000 square feet of space, over 1,100 seats and a High Resolution Rear Projected Screen, Gracepoint can become the ideal venue for any occasion.